South Africa 2-87 (Faf du Plessis 38*, Quinton de Kock 28*, Ronnie Hira 1-15) beat New Zealand 86 (Colin Munro 23, Doug Bracewell 21*, Rory Klienveldt 3-18) by eight wickets. The batting line up of the Black Caps was bulldozed cheaply by the lethal bowling attack of the Proteas as the home batsmen easily attained the nominal target. New Zealand managed 86 runs before their innings came to an end with 10 balls to spare from the allotted 20 overs. South Africa reached the target by smashing 87 runs for the loss of just two wickets with 47 balls to spare. 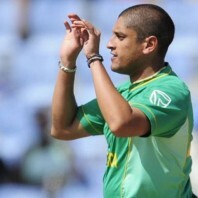 Rory Kleinveldt (South Africa) was declared ‘Player of the match’ for his excellent bowling spell of 3-18 in 3.2 overs. The first Twenty20 of the three match series was played on Friday, December 21, 2012, at Kingsmead, Durban. 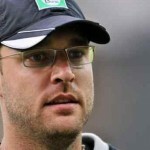 The toss was won by the New Zealand skipper, Brendon McCullum, who preferred to bat first and sent in Rob Nicol and Peter Fulton to open the innings. The pair scored nine runs in the first two overs as Nicol became the first victim after scoring three runs. Brendon McCullum replaced him and hit a four on the third ball he faced and Fulton added another boundary on the third ball of the next over. Peter Fulton was caught by Chris Morris off Dale Steyn for nine runs on the last delivery of the fourth over. Brendon McCullum lost his wicket in the fifth over for six mere runs and the Black Caps were in trouble at 3-19 in 4.5 overs. James Franklin was unable to open his account and the visitors were reeling at 4-27 when Colin Munro tried to put some life as the wickets kept on sliding from the other end. Munro Hit a couple of fours in the sixth over and added another 14 runs accompanied by Jimmy Neesham with 3 fours in the 10th over. Colin Munro became the eighth victim when he was caught and bowled by Chris Morris for 23 off 18 balls with 4 fours. The eighth wicket went down at 60 on the last delivery of the 12th over as Doug Bracewell and Ronnie Hira got together in the centre. Bracewell dispatched three consecutive fours in the 16th over off Rory Kleinveldt. 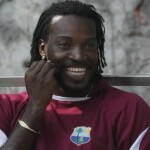 He remained unbeaten for 21 from 25 balls assisted with 3 fours as New Zealand was bowled out for 86 runs in 18.2 overs. 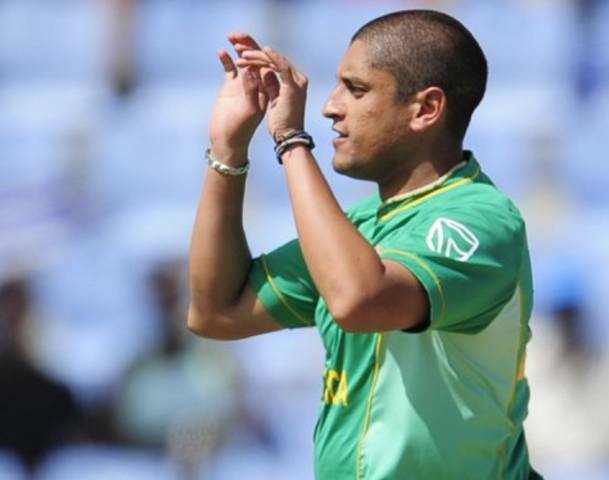 Rory Kleinveldt was the most successful bowler with three wickets, Dale Steyn, Chris Morris and Robin Petersen shared two each whereas Ryan McLaren claimed one wicket. South Africa faced an early setback when Richard Levi was caught by Peter Fulton in the first slip off Mitchell McClenaghan for a duck on the fifth ball of the first over. Faf du Plessis joined in with the other opener, Henry Davids who hit a couple of fours in the second over. The latter hit the first six of the match in the fourth over and Plessis gathered 17 runs on nine balls comprising 4 fours. The second wicket partnership took the score to 45 in 5.3 overs as Henry Davids was clean bowled by Ronnie Hira for 20 off just 13 balls with 1 six and 3 fours. Quinton de Kock got together with du Plessis and the first hit 2 fours in the seventh over as the latter kept on cruising from the other end. The pace of scoring was maintained by the duo by sending the ball regularly out of the fence. The Proteas achieved the target on the first delivery of the 13th over by thrashing 87 runs with eight wickets in hand. Faf du Plessis was unbeaten for 38 off 32 with 6 fours whereas Quinton de Kock secured his end by scoring 28 from 23 balls with 5 fours. South Africa won the first T20 with a huge margin of eight wickets and leads the three match series 1-0. The second game will be played on December 23, 2012, at Buffalo Park, East London.